A praying mantis was considered to have supernatural powers by early civilizations. A hummingbird? Not so much. But today, after centuries upon centuries of evolution, we've finally arrived at the battle of the century. Unfortunately, it's not going too well for the hummingbird. 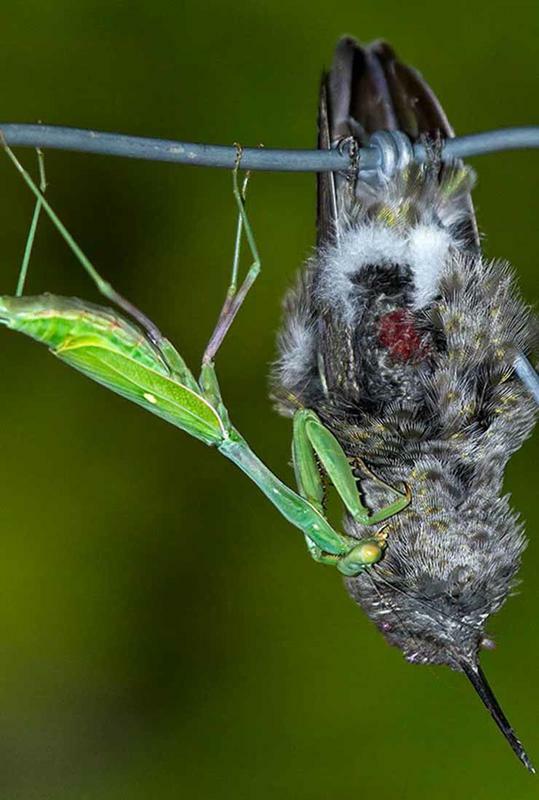 Praying mantises are dominating these birds all over the world. And by dominating birds, we're talking about eating them. A group of zoologists from Switzerland and the United States came together to investigate this astonishing process of bird-eating. It's something even they don't see every day.